Born in 1960 in Reykjavik, Iceland. Married in 1984 to Vilborg Hjartardottir. We have two sons, Hördur Freyr (1988) and Baldur (1992). studying Electronic Engineering and Computer Science (BSc) at the University of Iceland. Santa Barbara in the USA. I got interested in electronics back in 1970 at age 10 as I watched my late grandfather build kits. 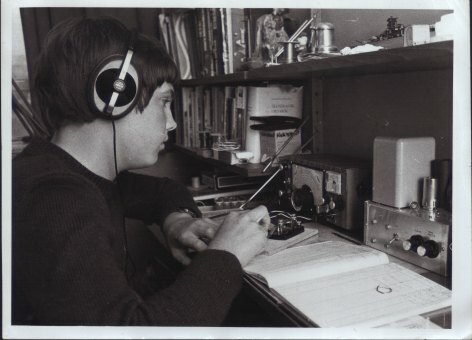 a course in electronics and morse code held by the I.R.A. By that time I had already built loads of stuff. Sveinn TF3T (SK ex TF3SG) and Jon TF3JA. Then got myself into contesting around 1977. 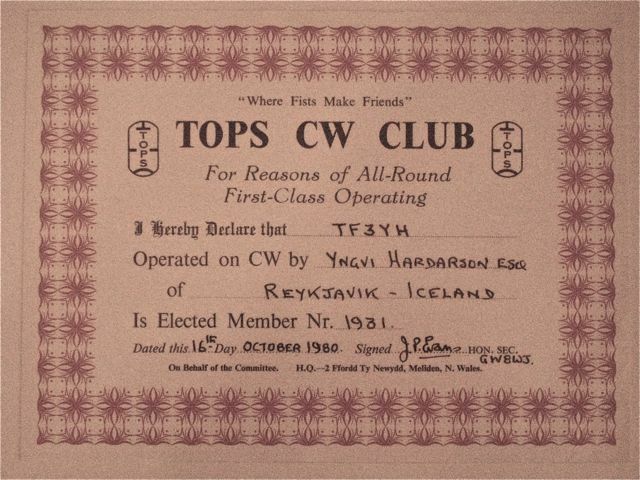 First licensed as TF3YHN in 1975, then Iceland's youngest Ham. (For the real origin of Ham see here). Held callsign TF3YH from December 24, 1976 and TF3Y from June 2, 2008. Other calls held: TF3YH/OX, TF3YH/VE3, VK4WYH and OZ/TF3Y. 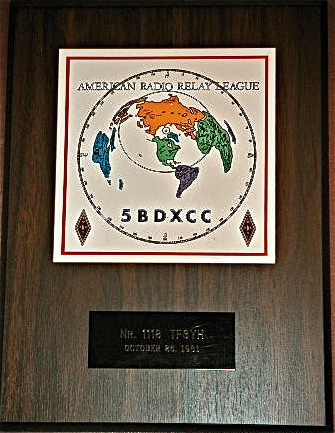 Holder of 8 Band DXCC, DXCC Honor Roll, DXCC CW, eDX100, WAE I, WAS, WAJA, WPX Award of Excellence. The CW Operators Club (no. 238) and FISTS (no. 16280). I operate Morse code 90+ percent of my "on the air" time.